Competency-based medical education relies on meaningful resident assessment. Implicit gender bias represents a potential threat to the integrity of resident assessment. 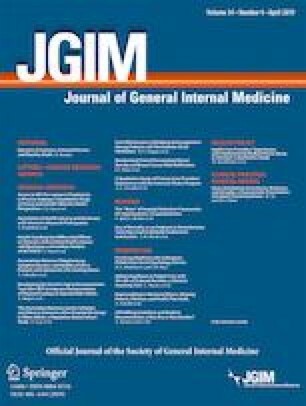 We sought to examine the available evidence of the potential for and impact of gender bias in resident assessment in graduate medical education. A systematic literature review was performed to evaluate the presence and influence of gender bias on resident assessment. We searched Medline and Embase databases to capture relevant articles using a tiered strategy. Review was conducted by two independent, blinded reviewers. We included studies with primary objective of examining the impact of gender on resident assessment in graduate medical education in the USA or Canada published from 1998 to 2018. Nine studies examined the existence and influence of gender bias in resident assessment and data included rating scores and qualitative comments. Heterogeneity in tools, outcome measures, and methodologic approach precluded meta-analysis. Five of the nine studies reported a difference in outcomes attributed to gender including gender-based differences in traits ascribed to residents, consistency of feedback, and performance measures. Our review suggests that gender bias poses a potential threat to the integrity of resident assessment in graduate medical education. Future study is warranted to understand how gender bias manifests in resident assessment, impact on learners and approaches to mitigate this bias. Lavy V, Sand E. On the origins of gender human capital gaps: Short and long term consequences of teachers’ stereotypical biases. National Bureau of Economic Research; 2015 Jan 30. https://doi.org/10.3386/w20909.